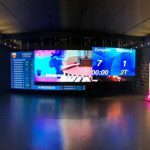 Mondo Iberica finished installing a new eight-sided LED screen at the Palau Sant Jorge in Barcelona in the month of December (2012); most definitely a work of electronic engineering on a par with a masterpiece of modern architecture. 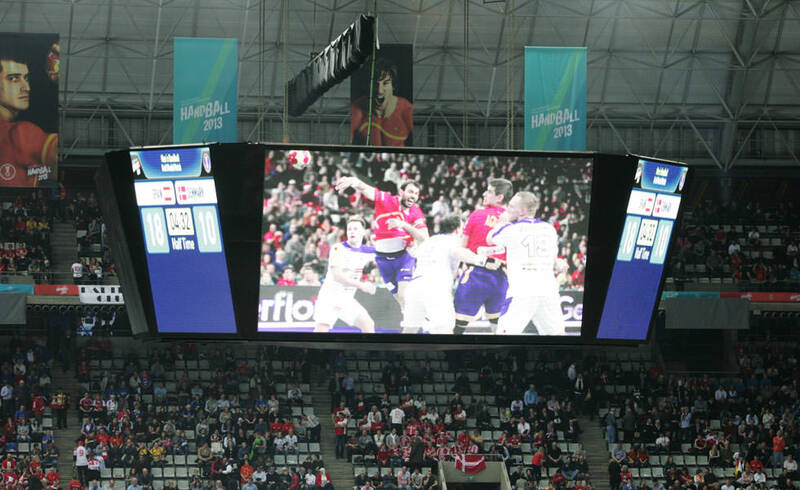 It has been foreseen for the new video screen, equipped with the latest advances developed by the Mondo R&D&I department to be officially used for the first time at the Handball World Cup that will take place from 11 to 27 January. 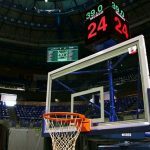 The video screen has an octagonal structure and is comprised of four main video screens, each one measuring 20.42 m2, and another four smaller screens at the corners. Its total graphic surface area is 108.25 m². The new equipment also has the modern Mondovideo system so each one of the screens can be controlled independently, and be able to manage and reproduce multimedia content such as images and videos. 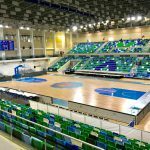 Mondo has also installed a complete control room at the Palau Sant Jordi, with production equipment, mix tables and communication matrices.